FFA - Dollar Shave Club becomes frequent advertiser again on Al Jazeera America for a third time. The email for this article was deactivated after the company stopped advertising. 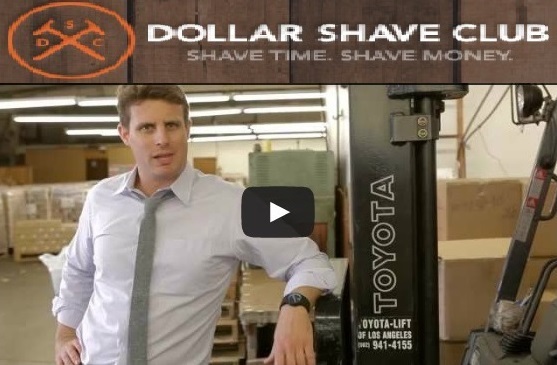 The Dollar Shave Club has started advertising again on Al Jazeera America for a third time. Most recently, the Dollar Shave Club stopped advertising on Al Jazeera America for a second time after Florida Family Association sent out one email alert on October 24, 2013 regarding the Dollar Save Club's frequent advertising on Al Jazeera America. However, the company resumed advertising on the channel again on November 11, 2013 after Florida Family Association deactivated the second online campaign. The Dollar Shave Club was the first small company that Florida Family Association targeted prior to CurrentTV changing to Al Jazeera content on August 20, 2013. Florida Family Association sent out an email alert on August 7, 2013 which reported the company’s advertising support for the channel. The Dollar Shave Club stopped advertising on August 17, 2013. However, sadly the company resumed supporting Al Jazeera America on October 21, 2013 which prompted the above described October 24, 2013 online campaign. Venrock apparently provided startup capital which may likely be funding the advertisements on Al Jazeera America. Techcrunch.com reports in part: Co-founder and CEO Michael Dubin said the new round (of funds), which was led by Venrock, will allow the company to develop “the next iteration of Dollar Shave Club” and “to really grow into the lifestyle service” that he wants it to be. The Dollar Shave Club certainly has the right to choose where they use their advertising dollars. You have the same right to object and choose products from other companies that won't give your consumer dollars to Al Jazeera. Florida Family Association has prepared an email for you to send to the CEO and investor officials.